kulu kulu Zoo vol.2 !!! | 8月はクルクルZoo vol.2 !!! 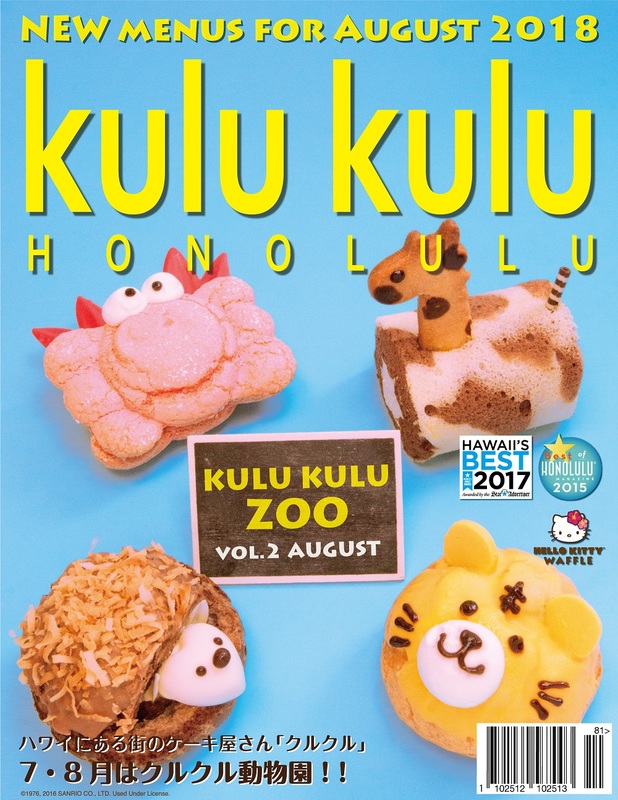 Enjoy our kulu kulu zoo 2 months in a row!!! Using Chocolate and regular sponge as giraffe print, rolled banana cream inside of it. Please create your own giraffe, inserting long cookie neck any angle you want. Strawberry Cream stuffed sponge crab!!! Kids will love this!! Cute tiger puff with full of orange custard!!! Roasted coconut spines, with Pineapple custard cream inside of this Hedge Hog! !